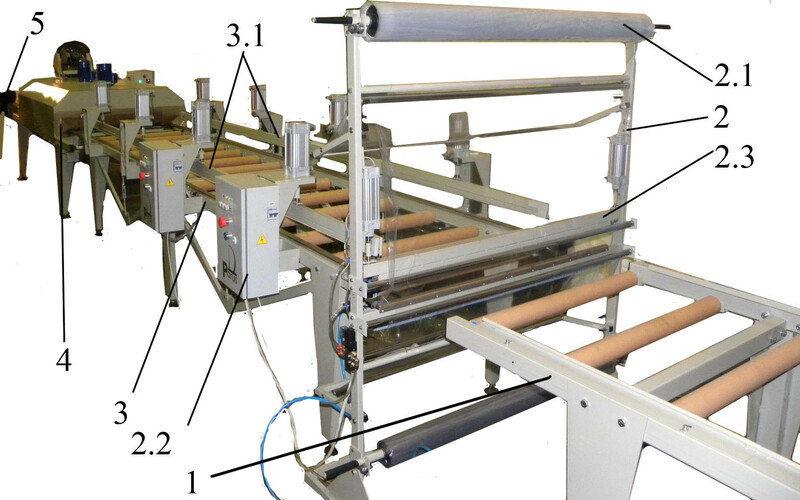 Packaging equipment for large-sized products (doors, table tops, furniture boards, wooden boards etc.) into polymer film - SKB "Parus"
Line is designed for packaging large-sized products in the shrink film (PE TU, PVC TU, polyolefin) with subsequent shrinkage. The following products can be packed on the line: doors, wall paneling, table tops made of artificial marble, sets of door units, sets of flooring and other products.